Among the smallest tools you have ever used, FoodBoosters last a lifetime and beyond, always working. EVERYTHING near electricity, including you, is instantly blanketed with very polluting frequencies. The one-second energy test proves this every time. Easily test the energy level of ANYTHING. No need to believe this incredible claim, do the test with a friend or colleague. Have someone gently pry the O-ring on your right hand. 'O-ring' is a circle you make with thumb and any finger you wish. If you cannot hold your pinkie & thumb in a simple tight "O,"
How much effort do they have to use to gently pry your O-ring open a little bit? Now, take any bit of food, tap it 10x on the table to imitate digestive stress, and hold it away from your body. No matter how strong you are, you won't be able to keep the O-ring on your other hand held closed, every time. It is just that simple. All food is polluted today by electricity, which is partly why we get so little energy from food. After touching Foodbooster to the food or beverage or the container they are in, even a mug, it always tests stronger. The Psychology of Longevity asserts that this means more energy delivered to you, less food required to nutrify you. A growing number of people claim their food needs declining IN THEIR FIRST WEEK of using their Foodboosters. 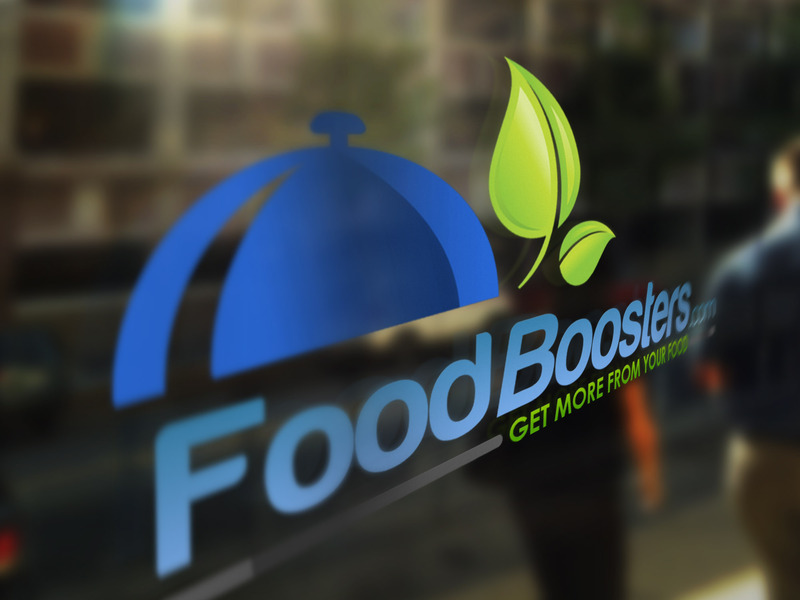 making sure that you use FoodBoosters reliably, so that FoodBoosters can serve YOU just as reliably. No maintenance, no batteries, no upgrade, just don't break the bottle, so that it lasts forever. with electrical frequencies that demonstrably weaken all food, drinks, body, etc. EVERY food and drink tests stronger with simple contact with FoodBoosters. One-conditional money-back guarantee. The condition? TEST THAT FOOD! We have not yet found ONE piece of commercial food in America that can withstand 10 stress taps (imitates digestive stress). Do you want to eat food that makes your body go weak, or go strong? NO NEED TO BELIEVE - TEST IT AND SEE! with the powerful information, in order to help even up the playing fields. The Psychology of Longevity is thrilled to bring innovations and devices that have never existed before in life. Nothing in the world has ever existed like FoodBoosters, another innovation of the Psychology of Longevity to help you, naturally. what value is there in acquiring or even developing that information in the first place? LEARN MORE SO THAT YOU MIGHT LIVE MORE. Just tap a piece of or plate of food 10x to imitate the stress of the digestion system, and hold the food away from your body. Have someone test the O-ring on your free hand (the one not holding food): In every case, you are too weak to keep it closed. Our food chain has been so profoundly weakened that more than 99% of all the foods we have tested ALWAYS test weak. Why would anyone eat or drink something that testably, and provably makes them weaker? One to five seconds of contact with the FoodBooster, and a money-back unconditional guarantee the food will test strong. Why put food or drink into your body that literally makes you weak? Hold the food to your chest or throat, and test! Now, for anything that tests weak, that means you are not going to be nutrified by it, and often react poorly to it. Touching FoodBooster to the container of food or drink, you IMMEDIATELY get to see how different the test is. No maybe's, no exceptions: EVERYTHING that tests weak will quickly get stronger in just a few seconds. Visit the various QRA and websites. TEACH YOURSELF. IT IS FREE! Get more energy from your food, and see if your food requirements do not rapidly drop, as in your first week! The Psychology of Longevity holds that no human should eat gluten or dairy, we are not designed to digest them. FoodBoosters were NOT invented to cure gluten, dairy or any other food allergies, even if FoodBoosters do help. and can be completely erased by simply using FoodBoosters 10 seconds pr day, 21 days. The supercharged rare earth minerals reset the body's bioenergetic and emotional fields. THERE IS NO NEED TO BELIEVE THIS, IT COMES WITH ONE-CONDITIONAL MONEY-BACK GUARANTEE! The one condition is that you must test before and after using the FoodBoosters on food or beverage. They instantly, provably reset your energetic & emotional fields, and, get this, strengthen EVERYTHING that they touch. Learn more at QRA.me, or learn at YouTube/FoodBoosters, or learn at . Help your body to help itself, naturally, powerfully, provably. The more energy you derive from food, the less food you need. Benjamin Franklin said, "The less you eat, the longer you live." MisterShortcut modifies that: "The less you eat, the STRONGER you live." Food allergies, other than gluten/dairy? Pshaw! They INSTANTLY, PROVABLY reset your energetic and emotional fields. More and more people are providing themselves with the relief & clearance they need, with FoodBoosters! you can be inalterably certain that your brain immediately drew a connection between these two events. The Psychology of Longevity suggests with good reason that this is why you are allergic to cashews. No need to believe it! Just hold a FoodBooster to your GV20 point, THEN bring the cashews close. We have done this with dozens of patients with severe allergies, with NEVER a bad reaction. Hold the "offending" food close to you only after you put the FoodBooster on GV20. As long as the FoodBooster is held in place at your GV20, you'll notice ZERO allergic reaction. where you note that the food or drink that caused issues can now be healthily enjoyed again. Foodboosters do not heal your allergies, they better-equip your body to correct its issues. after which we are accustomed to the item or the habit or the new person. It's smooth & natural. You now know how to do a test more accurate than anything we know of in the medical arena, even with 1,000 M.D. 's present. There is nothing in the annals, literature, or training of medical doctors, that includes this powerful, accurate one-second test. The Psychology of Longevity is committed to delivering technologives, protocols and useful information to the world, in order to even the playing fields. are some of the life-changing technologives we are launching, that are harnessed for YOU to help yourself and loved ones. Clear your brain, because people with educations far beyond most of us have worked to DISprove the power of QRA testing. "A method of imaging an internal organ of a patient for purposes of medical diagnosis, where a patient forms an O-ring shape with one of hands by placing the fingertips of his thumb and one of his remaining fingers together and a sample of tissue of an internal organ is placed on the patient's other hand, and the patient's internal organ is non-invasively externally probed with a probing instrument. The internal organ is the same type of organ as that of the sample. Simultaneously a tester attempts to pull apart the O-ring shape by means of the tester placing his thumb and one of the remaining fingers of each of his hands within the O-ring shape of the patient to form interlocking O-rings and pulling the thumb and the finger of the patient apart due to an electromagnetic field of the tissue of the sample interacting with an electromagnetic field of the internal organ being probed and this interaction is detected by the ability to pull apart the O-ring shape thereby permitting imaging of the boundaries of the internal organ being probed." it should be no surprise that the few deficiencies extant in the patented O-ring are readily remediated. The one-second energy test is easy enough for nearly all children, and almost as many adults. How much effort do they have to use to gently pry your O-ring open a little bit? That's all! With your left hand, hold your eyeglasses or shoes or pillow or any other item or substance against your throat or chest. Have them test the O-ring on your right hand again. Does it open easily, or is it easy for you to resist, holding it closed? developed by Bob Marshall, and his wife, Linda. identifying nutritional deficiencies - excesses, dysfunctional use of identified nutrients and more. At the center of it all is YOUR instant ability to test the energy level of any food, beverage, item, or substance on or near earth. When you test a piece of food, and it tests very weak, it means that it will deliver little if any nutrition to you. When you touch a piece of weak-testing food or drink to a FoodBooster, and it tests strong, what do YOU think it means? The greater the energy delivered from food or beverage, the greater the energy derived from it. by seeing their food requirements quickly drop? FoodBoosters do not cure allergies, since FoodBoosters do not cure or heal or even treat: They reset electrical fields. THIS ENABLES YOUR OWN BODY TO NATURALLY ERADICATE THE UNDERLYING CAUSE OF YOUR BEING SENSITIVE OR ALLERGIC TO A FOOD. Learn more at or QRA-Practitioners.com, HELP your body to help itself. Is there ANYTHING more effective than empowering the body to do its job naturally? Every food and beverage (or their container) touched by the FoodBooster is guaranteed to test stronger. Our 2,389 Psychology of Shortcuts and Psychology of Longevity websites = works in progress, reflecting technology, advances. Millions of unique pages based on 12,000 of the best PowerChats and PowerGems, the secrets of great masters and champions. When we imitate masters and millionaires, champions and billionaires, we also tend to repeat their results, or nearly so. Learning more has a fascinating way of causing our decisions to be better. Living stronger for longer is unlikely to happen accidentally anymore. Our food chain is simply too depleted of nutrients, calling for action. The tiny dietary decisions and actions you take today have long-term results. Use your Psychology of Longevity, and the other useful tools that you learn of. Remember the six most critical foods we can reguarly take into our bodies for nutrition. Air, water, air-dried sea salt, never-heated oils, bulk or fiber, and beneficial bacteria. These are primary secrets of longevity, of living stronger for longer, naturally, happily. so the larger EnergyVials or QVials, and others, are suggested for body use, they're easier to place at your GV20 point. GV20 (Governor Vessel) is located at the highest point on your head, lined up with the front of your ears, easy to find. Place any of our vials of supercharged rare earth minerals at the GV20 point, for as little as 1/50th of a second, and voila! EVERY one of the body's 365 long-identified meridian points is going to test stronger, or you can have an immediate refund. These are the most powerful minerals in the earth, and certainly the first supercharged devices that allow YOU to supercharge. contact with FoodBoosters is unconditionally guaranteed to make it test strong. is one-conditionally guaranteed to test stronger, and the one condition is that it was weak before supercharging it. This gives you power to very literally supercharge everything that tests weak against your body, such as eyeglasses. That's right. Approx 40% of all of us test weak against our eyeglasses. Touch the foodbooster, Voial! Tests stronger. There is no such thing as an accident, only people making bad decisions, including not paying sufficient attention. If you drop the FoodBooster, sometimes they break, sometimes they do not, so it is wiser to be careful with them. These can be among the most powerful, most influential tools of your lifetime, more so when you absorb more. That last statement has more than one meaning, as does every bit of useful information that we ever get to learn. You see, you will rapidly find, among other things, that the more often you use the FoodBooster, the more it gives. We do not even list them, some we have no intention of telling people except as nice rewards for purchasing them. Everything that tests weak, without exception, is guaranteed to test stronger after 1 to 5 seconds of contact. Nothing in the world that we have ever examined even comes close to this in polarity, to toss some science. No belief in a single word we offer is required, which confounds sober attempts at refuting such extent of power in these vials. Every single substance in existence is made of molecules that must spin. They either spin counterclockwise, or they spin clockwise. Any substance that has counterclockwise-spinning molecules is guaranteed to weaken mammalian thryoids, parathyroids, and more. No argument can be made because approximately every human with someone standing there to help can do a one-second bidigital test. Same results, every time. That is science. Shhh. Less talking, more doing. Get more energy from your food! Please note how much food you are now eating to be satisfied. PLEASE take notes. to realize how many things we do not "really consider food," yet we still swallow it. please make note again, written or not, of how much you are then eating to satisfaction. WHY do people report such easily observed lowering of food requirements, and so quickly? all your body's organs test stronger, so they are also digesting even more efficiently. are without a doubt responsible for some of the most impressive clinical results. Operate in the clinic of your own environment, simply doing one-second tests. so, the Psychology of Longevity purports that you can, too, just as well. so that you can learn more, which promotes you living more, too. The more we know, the smarter most of our decisions tend to be. Welcome to the headquarters of the world's first true foodboosters, literally supercharging all that they touch. Allow FoodBoosters to help you improve your life, noticeably, rapidly, consistently, using FoodBoosters. We HIGHLY recommend keeping a food log, to see how much less food you need... in just days. More energy from food means needing less food. This is still #1 feedback for FoodBoosters! Whether you buy Foodboosters or do not, PLEASE go to qra.me (or other qra website) to learn the one-second energy test. Every bit of health information shared with you by the Psychology of Longevity is repeatedly and thoroughly vetted. not a single fact has ever been successfully refuted. Not one. This reminds all of us what an experiment is. The purpose of an experiment is NOT to prove that a principle or theory is scientifically, usefully true. The purpose of an experiment is to work mightily to prove that the proposed theory is NOT proven true. ONLY WHEN WE FAIL VIA DILIGENCE TO PROVE THAT IT IS UNTRUE can the theory be considered sound. Test, test, test! Point to your car or refrigerator, or hold your cell phone to your chest while it's openly operating. There's simply no way you'll still be able to hold your thumb and finger tightly together then. Laser it with the world's first supercharged laser, or touch it to QVial, or other supercharged minerals. Use the supercharged image right at the top of the page, or at J233.com, or other "backup" sites for megaphotons. Speak less and do more! Respectfully submitted, if you knew better, you would do better. Your fastest path to success is imitating those who do. Once you successfully imitate their recipe, you will know because you will also be duplicating their results, or nearly so. THEN is when the knowledge and experience YOU'VE gained, maybe even wisdom, is worth adding to your best recipe. Learn the one-second energy test, and the Psychology of Longevity assures you that your intelligence attains a boost. 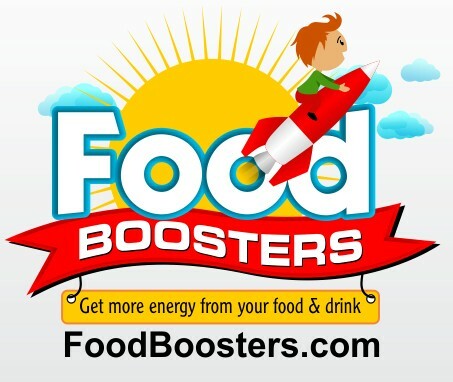 If you are getting more energy from food, what do YOU think FoodBoosters will do for the amount of food you need? 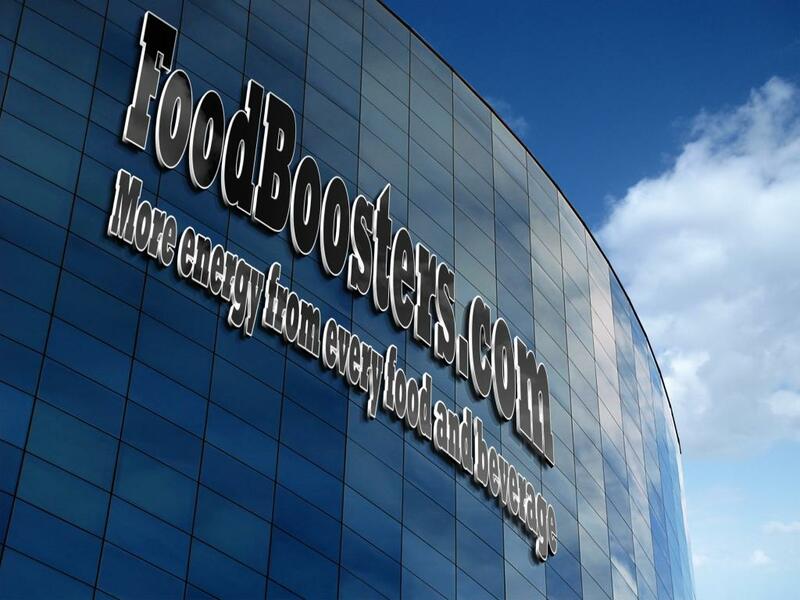 FoodBoosters are one of many inventions and innovations by MisterShortcut to help you help yourself.